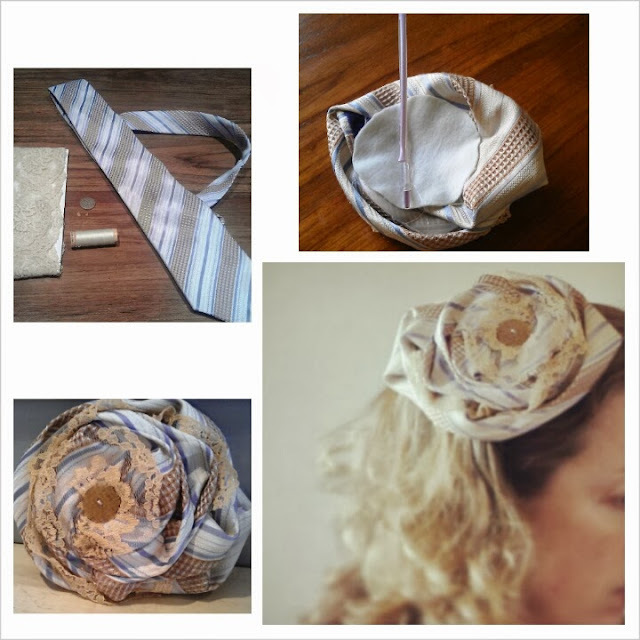 In similar style to my recent upcycled necktie flower brooch, I have been inspired to make an upcycled necktie fascinator as a result of Melbourne's annual horse racing carnival season. Headpieces, hats and fascinator's can be seen adoring women's coiffured hair all over the city (and the country) during late October and early November. I've used the same technique as my necktie brooch to make my headpiece, only this time adding thrifted lace (10c op shop) and a button (10c op shop) to my choice of necktie ($1 op shop), which interprets a touch of vintage to my fascinator. 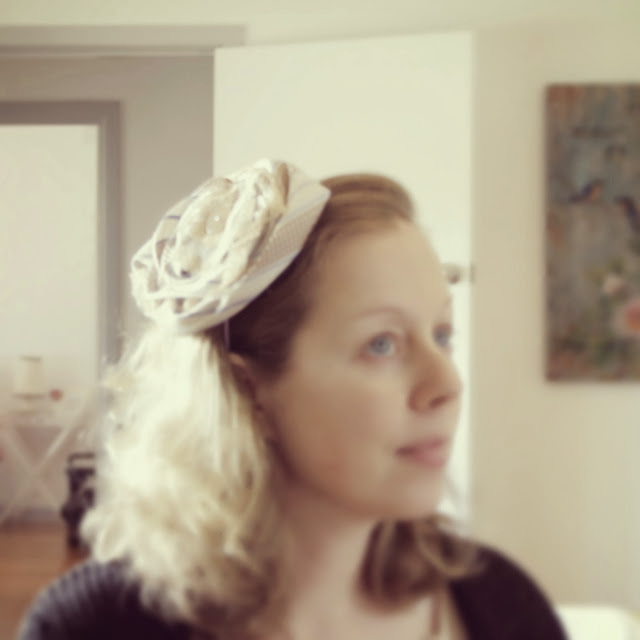 I've used a glue gun to attach my finished flower to a plain headband. Being that I'm 9 months pregnant, I shall not be trotting off to the races this year with my new headpiece, I have instead entered it into a 'Hats and Headwear' online craft contest, and put it aside to wear for a later date. I'll be saying a brief goodbye for now, as my family and I welcome our newest edition into the world next week. I'll continue to plug away at facebook and instagram until the little one arrives, and will be back to blog writing once we're home and settled. 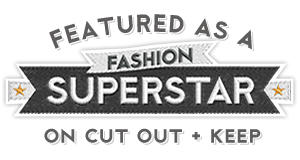 On a final note, I'd also like to acknowledge two great writers for nominating Recycled Fashion in recent awards; Down to Earth Mother for a Leibster Award and Kindness By Design for a Sisters Are Blogging It For Themselves Award. If you are not following either of these two blogs yet, then I encourage you do; both will inspire you to embrace a greener, ethical yet fashionable life! 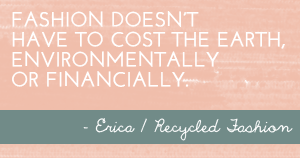 Thanks for reading and continuing to follow Recycled Fashion, you know I appreciate it. I wish you and your family the best of everything in this happy time, Erica! Great idea! Congratulations. I hope everything goes smoothly as the baby makes an entrance. Wayhay! Very exciting. Hope that everything goes smoothly for you and the new bebe. Thanks Erica for the fascinator inspiration. This is gorgeous and so much nicer than the garish head attire that passes for fashion at The Melbourne Cup. I have made a mini version from an old necktie to wear as a hair slide for work.Wow....the baby is just around the corner. I wish you all the very best and look forward to your blogging return. Lovely and going by the pics I've seen on the internet about The Melbourne Cup, yours looks way more stylish! Can't believe you're going to deliver very soon - wishing you a smooth delivery, take lots of rest and look forward to seeing you soon! best best best of luck!! !